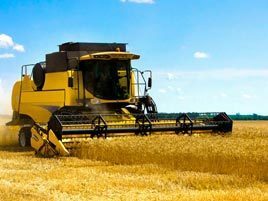 A&A Coatings provide great resistance to wear and corrosion for the industrial tools and machines that are used in the agriculture industry. By offering you the best coatings that can help protect harvester blades, pumps, compressors and a myriad of other tools that are commonly used in this sector, your business can benefit from extended service lifespan of your equipment and avoid costly replacement of worn components. Our specialized coating solutions are commonly used by farmers and farming cooperatives for improving corrosion resistance in a disparate array of pumps including barrel casing pumps and double-suction split pumps. Various wastewater treatment systems including aeration systems, mechanical aerators and turbo-compressors can also benefit from our protective coatings. Apart from this, we also offer specialized wear and abrasion solutions for single-stage centrifugal pumps and ring section pumps. Alloys that have been used through the decades in manufacturing agricultural tools often lack adequate wear and corrosion resistance. We use a specialized thermal spraying process for enhancing heavy-duty and self-sharpening ground-engaging tools that are not susceptible to premature failures. We can typically apply a metallic or carbide based material on a substrate to augment its properties. The end products are agricultural tools that feature superior wear and corrosion resistance. A&A Coatings is committed to providing agricultural businesses and agro-based industries with the most durable and hard-wearing tools and equipment via our superior coatings. Our many years of experience in spraying agricultural equipment give us the definitive business edge in the present market. Send us an inquiry today to know more about our specialized solutions for the agricultural sector.